hold certification thus validating the quality of their processes, products or services. To ensure stringent quality control we only list certificates that have been awarded by a credible third party assessment bodies. Personnel who have achieved academic qualification in a field related to quality assurance are also listed. within any accreditation regime and other bona fide international listings. It's the same all over the world. People using any company for the first time want reassurance. That's why so many people look at The International Register of Quality Assessed Organisations (IRQAO). How much does listing cost? 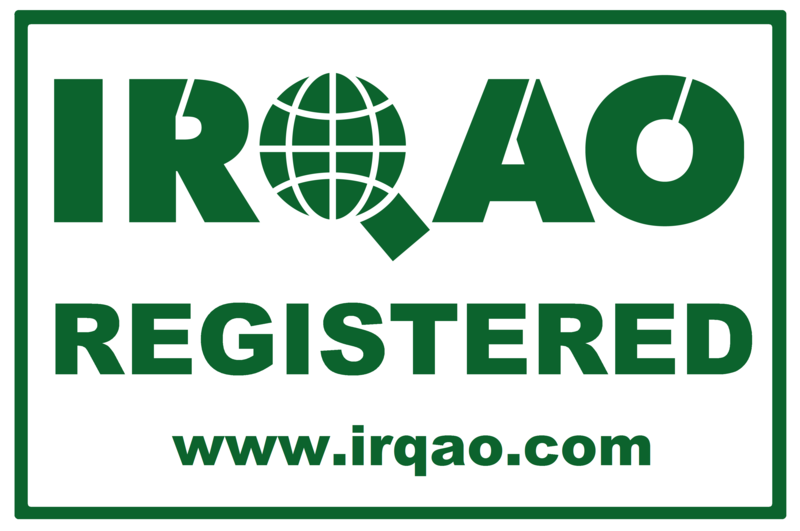 Listing is generally free to registrants who may also use the "IRQAO Registered" logo free of charge. (Download here) This is because it is the certifiers who pay to use the web site. Registrant’s certificate details are loaded to the site by certification bodies and training institutes because they understand that listing in the IRQAO brings benefits to registrants. How does an individual get listed? Registrants need to be certificated by a reputable certification body and training institute or go to an agent. How does a Training Institute get listed? Institutes have to be accredited by a recognised accreditation body or listed members of a professional body or association specifically related to their area of activity. Who are the Accreditation Bodies? Search on “IRQAO Partner: Accreditor”. Certification Bodies, or Certifiers, are organisations permitted to list certificates that they have issued. Certifiers have to be accredited. Who are the accredited Training Institutes? Search on “Training Institute”. They have had to undergo an accreditation assessment. Is there an expiry date for listing? Yes - some personal qualifications are listed on a ‘non-expiring’ basis but most listings are for a period of one year and then may be renewed. Are there other search engines? We do not believe there is a universal search engine that has the same facilities as IRQAO: (i) Not restricted by accreditation body type, (ii) Not requiring a password, (iii) Not requiring just a certificate number, (iv) Free to view. Yes but we only publish information which is given us by certifiers, institutes or agents and is in the public domain elsewhere. Your details are not passed on to other organisations. However, you can request the person who does the listing to restrict publication to various degrees of openness or confidentiality. Can I be listed if I am not certificated by a named Certifier? Could I become an IRQAO Agent? Yes, Please enquire via contact form. You can pay an IRQAO invoice through BACS transfer, using the details shown on the invoice, or if you have added a credit card to your account, you can pay online. We accept Visa, Mastercard and American Express. All IRQAO invoices are issued in GBP and therefore payment must be made in GBP. What is meant by Certificate Status? There are 9 grades of certificate status whose titles should be self-explanatory. Certificate status is determined by the listing authority, typically the Certification body. Probationary Registrant meets technical requirements but may be subject to a commercial caveat. Withdrawal The certificate has been withdrawn by the Certification Body. Under Investigation Self-explanatory but currently entitled to Full certification status. Enquire Subject to confidentiality obligations the status has to be followed up outside of the public domain. Unclassified This is a rare event and is used in those circumstances where other certificate status is not applicable. IRQAO have a policy for refunds that includes the requirements of the UK Distant Selling regulations where relevant. The policy is downloadable here.